Humanitarian agencies are becoming more aware of and sensitised to the concerns of persons with diverse sexual orientations and gender identities. 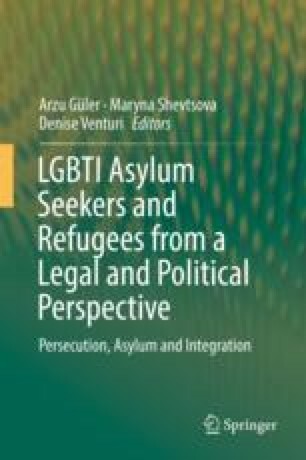 This institutional understanding, however, tends to aggregate the needs of cisgender lesbian, bisexual, and queer (LBQ) (The term “LBQ refugee” in this paper refers to cisgender women, and does not cover women with diverse gender identities. This is explained more in the methodology section.) refugees in protection responses for other queer refugee communities. This homogenises their unique protection profile, and warrants a more nuanced approach to working with members of this group. This chapter explores the living conditions and vulnerabilities of cisgender LBQ refugees who are registered as persons of concern with the United Nations High Commissioner for Refugees Nairobi. Through a qualitative and quantitative framework, it examines particular forms of sexual and gender-based violence that are pronounced throughout the LBQ refugee community in Nairobi; evaluates the effectiveness of interventions by humanitarian agencies that have been harnessed for the protection of these refugees; and discusses ongoing challenges in the relationship between agencies and LBQ persons of concern. By understanding and giving attention to the distinct risks of LBQ refugees through targeted programming, humanitarian agencies can maintain a protection mainstreaming approach while addressing individual vulnerability. This chapter—including the research, data, and findings quoted in it—was extracted and partly modified from the unpublished RefugePoint report, Disaggregating LGBTIQ Protection Concerns: Experiences of Displaced Communities in Nairobi, Kenya, by the same author. The author would like to thank RefugePoint, UNHCR, HIAS-Kenya, and the Danish Refugee Council for their support of the original report that inspired and facilitated the current project.